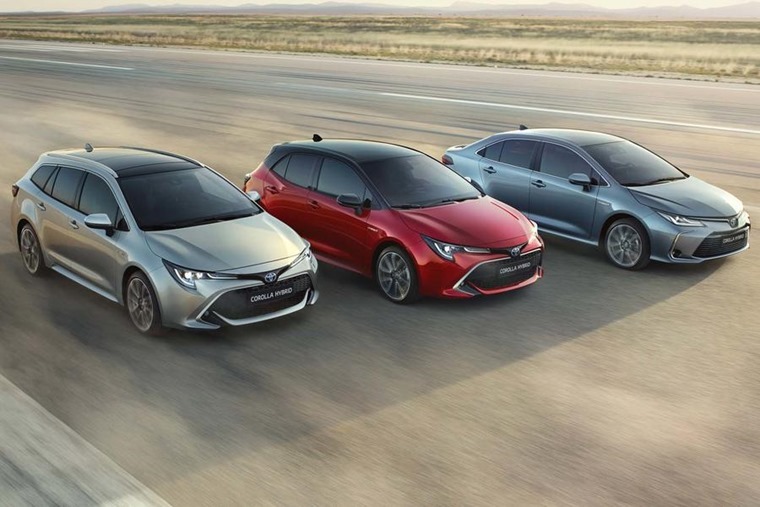 Toyota has now revealed all three body styles of its new Corolla – the hatchback, saloon and estate. UK list prices and specs are to be confirmed, but it’ll offer an alternative to the Ford Focus and Volkswagen Golf when it arrives in the first quarter of 2019. Unlike previous iterations, the saloon and estate aren’t based on the hatchback either. They sit on their own specially designed platform. Despite the different body shapes, all three cars use the same design language. Up front there’s a sharp-looking pair of headlights that wrap around the bonnet. Inside, the quality of materials has taken a big step up compared to the current Auris. Toyota’s latest infotainment system is present, as is a clutter-free sweeping dashboard design. It’ll be offered with features such as wireless charging and a JBL sound system. There’ll be a choice of two petrol hybrid drivetrains from launch – a 121bhp 1.8-litre version we already know from the Prius, along with a 2.0-litre 178bhp version. 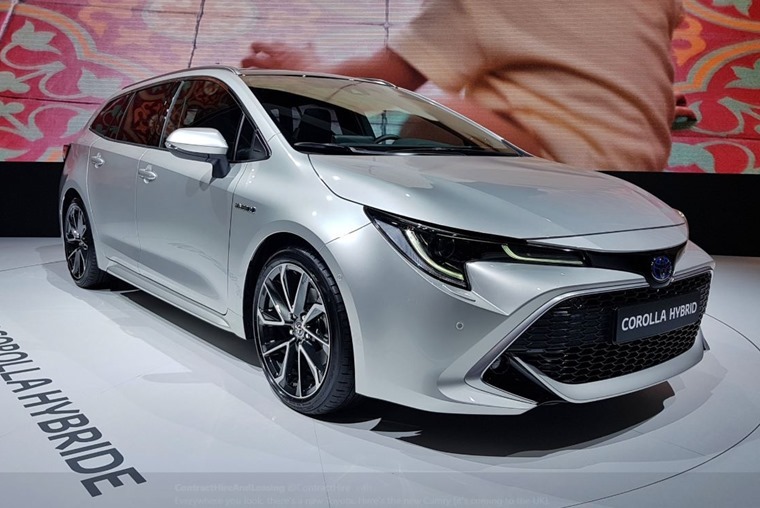 The new Corolla benefits from a 60% more rigid body shell and sits on an all-new platform – something Toyota says guarantees a more rewarding driving experience. 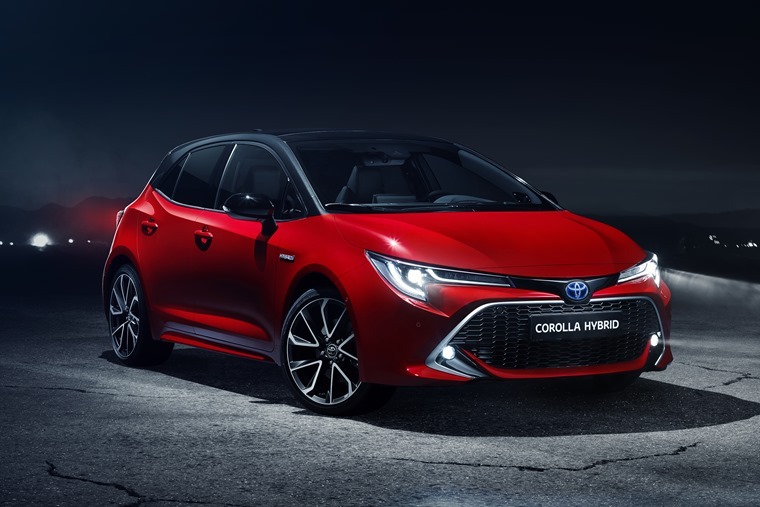 All Toyota’s TNGA vehicles prioritise the highest active and passive safety standards and the new Corolla Sedan benefits from the latest Toyota Safety Sense systems. These include Pre-Collision System that can detect pedestrians in the car’s path both in daylight and night-time driving, and also cyclists in daylight. Full-range Adaptive Cruise Control, Lane Departure Alert with steering assist, Road Sign Assist and Automatic High Beam are also provided. In addition, a new Lane Tracing Assist system is introduced, giving the driver even more support. When the full-range Adaptive Cruise Control and Lane Tracing Assist are active, the system makes subtle steering inputs to keep the vehicle centred in its traffic lane, even through gentle highway bends. We’ll bring you list prices and lease rates as soon as they’re available, but if you can’t wait until next year, you can check out lease deals on the current Auris by clicking here.